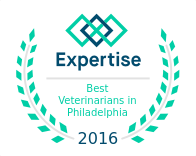 VRC is a comprehensive, specialty veterinary healthcare center located in Malvern, Pennsylvania, a western suburb of Philadelphia. VRC is a comprehensive, specialty veterinary healthcare center located in Malvern, Pennsylvania, a western suburb of Philadelphia. We are an AHAA accredited practice, open 24 hours a day, 365 days a year, for appointments and emergency care. At our hospital, you’ll have access to a team of experienced, board-certified veterinarians with advanced specialized training, who utilize the latest innovations in medicine and technology to treat your dog or cat. We work together, and in partnership with your family veterinarian, to ensure open communication, timely and effective care, appropriate follow-up, and most importantly—the comfort and well-being of your pet. We offer advanced diagnostic testing, treatment, and ongoing management of your pet’s medical condition. Our veterinary services include comprehensive cancer care, cardiology, internal medicine, orthopedic surgery, general soft tissue surgery, dentistry, and oral surgery, neurosurgery, endoscopy, rehabilitation, and emergency services. VRC is easily accessible to the greater Mid-Atlantic region and serves families and referring veterinarians across Pennsylvania, New Jersey, Delaware, and Maryland. Founded in 1972, Veterinary Referral Center (VRC) was one of the first specialized veterinary hospitals in the country to offer advanced orthopedic surgery. Our practice expanded to include three more entities under the VRC umbrella: Mid-Atlantic Veterinary Specialists (MAVetS), our comprehensive cancer center; Emergency Veterinary Service (EVS), providing 24/7 walk-in, critical care; and Rebound, offering physical therapy and rehabilitation. We also took an exciting new step into the future of veterinary medicine by joining forces with Red Bank Veterinary Hospital and East End Veterinary Emergency Specialty Center to form a new veterinary services organization. This affiliation gives us the opportunity to share best practices, embrace new technologies, participate in cutting-edge clinical trials and studies, and ensure quality outcomes. In the fall of 2014, we combined our veterinary practices into one specialty campus under the name VRC. This change enables us to expand our team cohesively and offer families and referring veterinarians a greater variety of specialty services than ever before—all with the ease of a one-stop hospital. VRC continues under the leadership of Medical Director, John Anastasio, DVM, DACVECC. Our pet hospital will remain located at 340 Lancaster Avenue in Malvern, PA, and our commitment to providing trusted, compassionate, exceptional specialty care remains stronger than ever. Thanks to advances in veterinary medicine, preventive care, and nutrition, dogs and cats are now living longer, healthier lives. As the lifespan of pets increases, however, so does their risk of developing cancer and other serious medical conditions. At VRC, we offer families and referring veterinarians treatment options for conditions and diseases once thought to be untreatable by utilizing the latest advances in medicine and technology. VRC is committed to providing the highest quality of specialty veterinary care for the best quality of life. We treat animals as family members, putting their comfort and quality of life at the forefront of all decisions. We understand that pet owners may face difficult decisions and we guide them through their options with patience and respect. We are passionate about veterinary medicine and perform to the best of our abilities for the safety and well-being of all patients. We offer the highest level of specialty veterinary care in the Mid-Atlantic region. Our clinicians stay current with training, education and research in order to provide the latest advances in medicine and technology. We collaborate, communicate openly, and share resources to achieve the highest outcomes. We acknowledge and respect the important role that referring veterinarians and family members serve as part of the care team. We value the trust placed in us by families and referring veterinarians and we pledge to uphold the highest ethical standards.